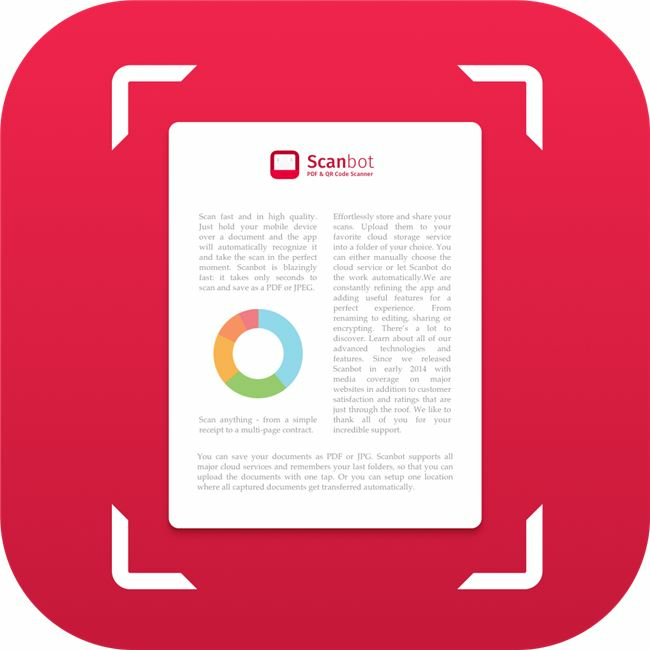 Scanbot is the best document-to-PDF scanner app and very easy to use. Already 7 million people on Android and iOS use Scanbot to scan their documents, receipts, whiteboards, QR codes or bar codes. Scanbot already won numerous awards and achieves a satisfaction rating of 98%. Scanbot scans everything from business cards to whiteboards. 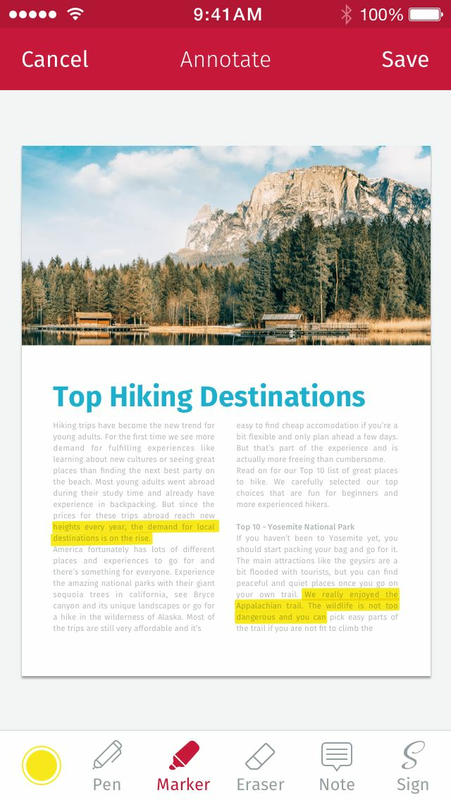 When you scan a document, Scanbot makes hundreds of decisions to capture the document perfectly, crop the document, straighten it and apply the filter. 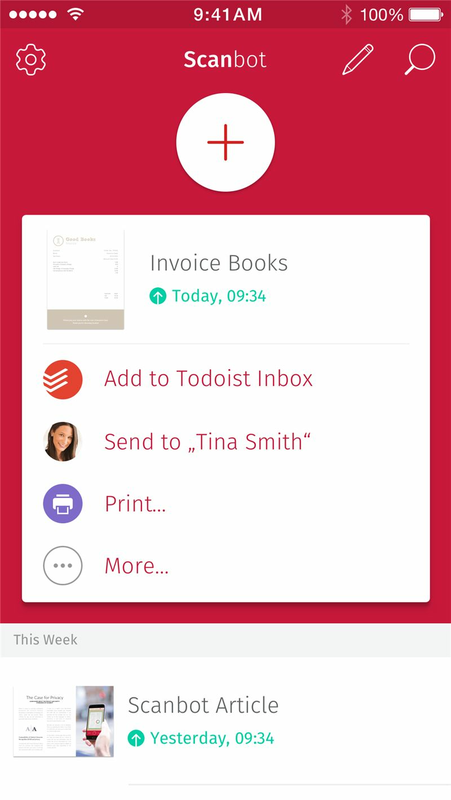 Simply hold your smartphone or tablet over a document and Scanbot will automatically scan it. 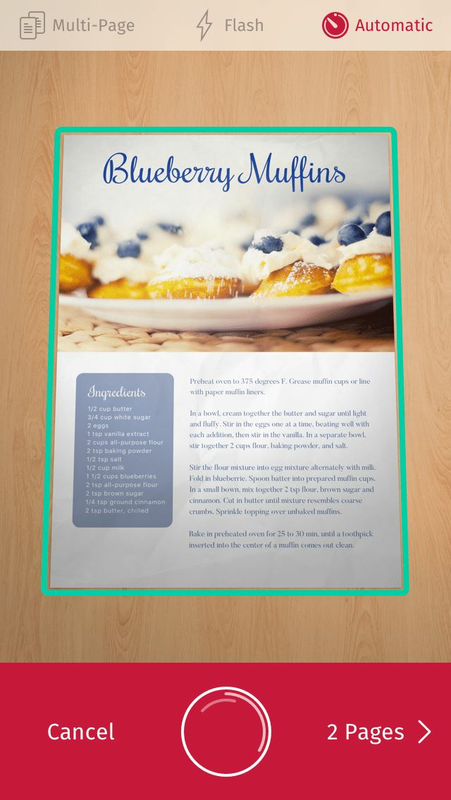 The document will be cropped and the colors will be optimized.  Save your scan as PDF or JPG with one tap.